Tencent and LEGO have unveiled an open-sandbox mobile game using the Lego IP called LEGO Cube. Developed by Tencent, the game focuses on creation and exploration rather than linear story and will be released in China with a tentative launch window for the end of the year. The title was unveiled yesterday at an event hosted by the duo called Imagination Creates the World. There was no mention of the game being released outside of China. LEGO Cube is the first game to come from Tencent’s partnership with LEGO, which was revealed in January of this year. 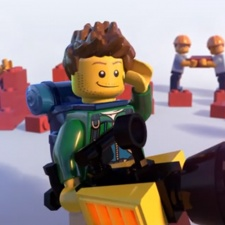 “The LEGO Group has more than 20 years of experience in creating fun and creative games that extend and amplify LEGO play,” said LEGO Games VP Sean McEvoy. “We are excited to preview our first branded mobile game with Tencent Games in China. LEGO China general manager Paul Huang added: “As a company with 86 years of history, the LEGO Group has always made safety its top priority, be that for our physical products or our digital experiences. “Children are our role models, and our most important purpose is to inspire them and help them develop through play.